Great trees begin with a great company. 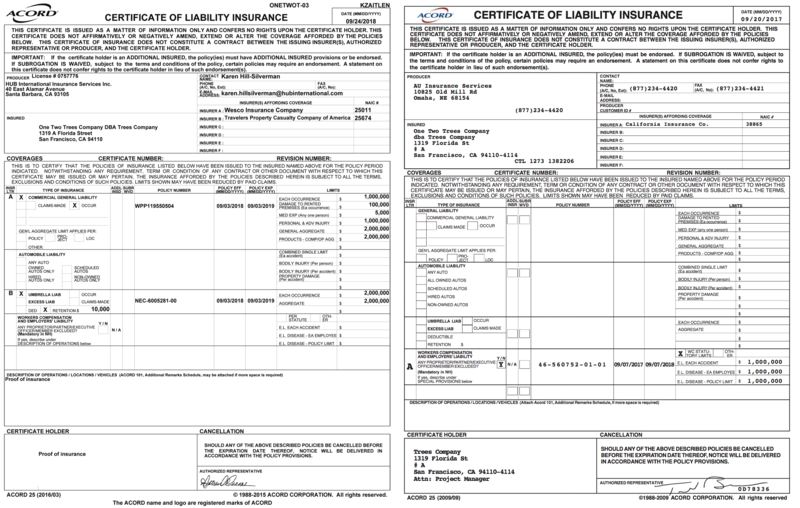 Get professional guidance from licensed and insured SF Bay Area arborist Christopher Altman. Shaping, reduction, restoration, vistas, and thinning. Tree removal. Stump Removal. We don’t just do trees, we do everything that grows: vines, shrubs, ground cover, sidewalk gardens, and mulching. We advise and install new plants and trees too. We help you choose the right trees and plants for the right location. We know what will fill you needs but will thrive in the space. We locate, purchase and install. We find that balance between the client’s needs and the tree’s needs. …or catch this 3-minute episode of Trees Company. Meet the crew. See us up in the trees. Get a feel for how we work. And hear arborist Christopher Altman tell you in his own words why Trees Company is a great resource for the Bay Area. Even Mr. & Mrs. Roper would be pleased. Chris is a top-notch arborist. I had been pruning the tree myself each year, but now that the tree has grown to over 30 feet high I needed a professional arborist to fix my previous mistakes and disentangle the foliage from overhead wires. The tree canopy now looks great. Our neighbors hired Trees Company for their property. These guys are the real deal if you are looking for arborists or landscapers: punctual, within budget, and with a can do attitude. They took out a 40-foot, twenty year old yucca palm for me. And even popped across the fence to trim a neighbor’s palm (with their permission). Meanwhile, Penny the dog hung out with me and my dog inside, watching the work. Thanks Chris, Randy, Alfredo, Ricky Suave, and Penny. It makes a difference having someone who really knows what’s possible with a tree: an actual arborist. My advise: hire Trees Company and let them do whatever they think is right. That’s what I did and the outcome is better than I imagined. Highly recommend this company. We had a huge ficus tree that was completely overgrown and they did a fabulous job pruning it. They responded very quickly with an estimate and were able to schedule the job very quickly as well. They worked super hard for hours on the tree. Fair price too. Will use them again and again. We’ve have the fortune/misfortune of owning one of the largest Monterey Cypress trees in SF. Over the past 20 years we’ve hired many Arborists with mixed results. This tree is over 3 stories high and we dread having to get it trimmed. Chris Altman was a pleasure to deal with. His estimate was fair and they did an outstanding job. They removed a considerable amount (which is what it desperately needed) and pruned all around PGE and telephone wires. 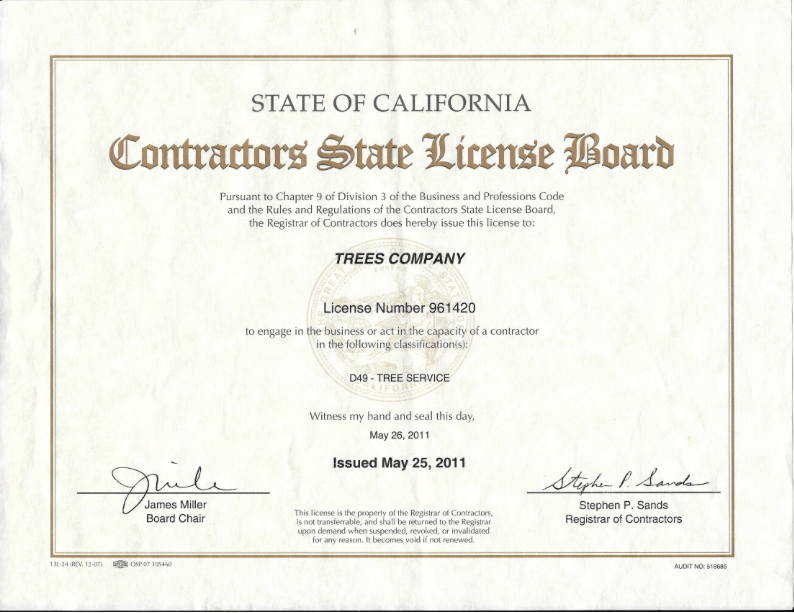 We highly recommend Trees Company and will be using their services from here on out. Let us know if you’ve got a project, would like a consultation, or simply have a question. We’ll come down out of the trees to answer you, pronto.